In 2012, AT&T gave OCG PR the challenge of transforming a three-year-old website from a digital asset with low consumer engagement living on its eCommerce platform into a site on its att.net platform that provides a more dynamic, active and authentic connection with a valued target audience: African American Millennials (ages 18-34). AT&T’s drive for an authentic connection with this target audience stemmed from this demographic’s potential buying power and mobile lifestyle. We brought the client’s vision to life, creating a seamless and welcoming online user experience and posting stories designed to engage, teach, entertain, and inspire visitors. 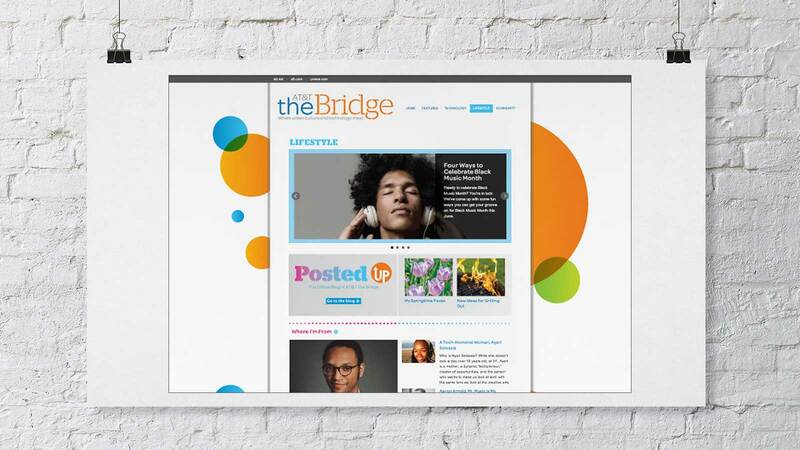 Within the first year of AT&T The Bridge’s launch, the site reached impressive milestones that set a solid foundation for its promising growth – generating more than 50,000 unique visitors and more than 100,000 page views, with an average of 250 new visitors each day.